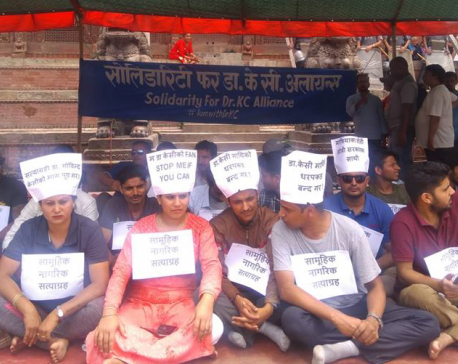 KATHMANDU, July 22: Supporters of Dr. Govinda KC have started a mass resilience at Basantapur to draw government’s attention to save the social crusader’s life and meet his demands. KATHMANDU, July 19: A mass gathering has been organized in Kathmandu in support of Dr Govinda KC who is on the 20th day of his hunger strike in Jumla. 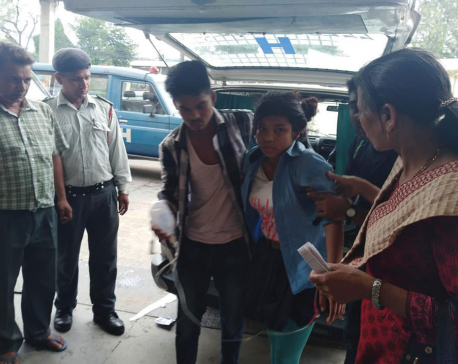 DHADING, June 19: Some female students at a local school of Dhading start collapsing as soon as they enter their classes. After completely collapsing on the floor, they start screaming, shivering and laughing hysterically. They also repeatedly murmur 'save me', among other mysterious symptoms. ILAM, June 14: Families of those who were disappeared during the decade-long armed conflict in Ilam are still waiting in the hope that their missing kin would return home some day. 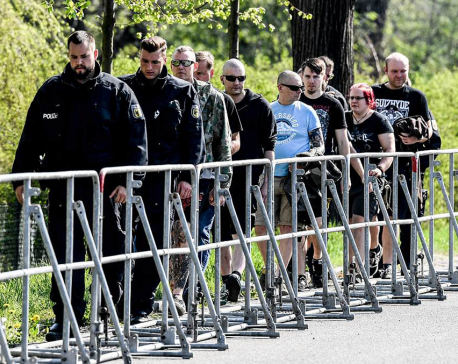 BERLIN, April 21: Hundreds of neo-Nazis were missing Friday on Adolf Hitler's birthday for a two-day festival in a remote eastern German town where citizens and anti-fascist groups staged spirited counter-protests. 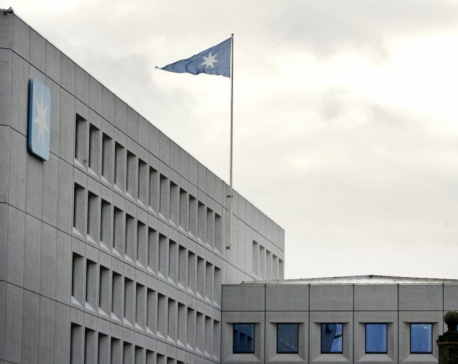 The Cold War-style expulsion of 139 Russian diplomats is part of a global response by two dozen countries to the Kremlin’s alleged role in the use of a nerve agent on British soil. KATHMANDU, Mar 23: Minister of State for Communications and Information Technology, Gokul Prasad Baskota, has pledged to bring a new communications law on the basis National Mass Communications Policy. 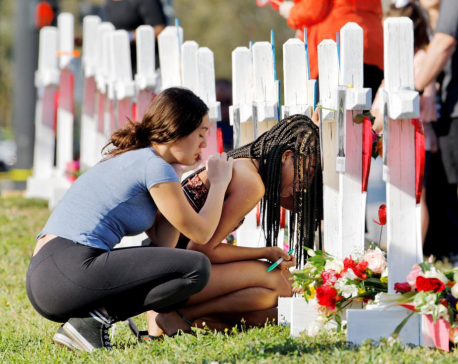 FLORIDA, Feb 19: Stunned by the deadliest high school shooting in U.S. history, students mobilized across the country on Sunday to organize rallies and a national walkout in support of stronger gun laws, challenging politicians they say have failed to protect them. KATHMANDU, Jan 11: Ministers representing CPN (Moist Center) have decided to tender their resignation en mass. 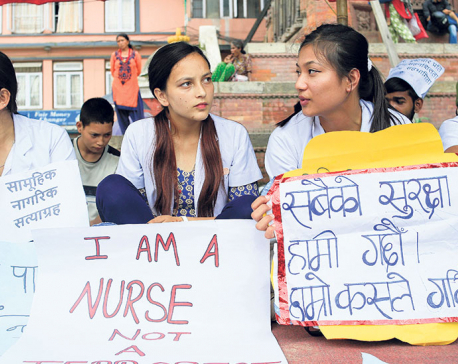 KATHMANDU, Jan 9: A mass protest has been organized at Maitighar Mandala against the detention of senior orthopedic surgeon Dr Govinda KC. They chanted slogan for an immediate release of Dr KC. KAPILVASTU, Dec 2: A bomb went off targeting the mass meeting addressed by CPN (Maoist Center) Chairman Pushpa Kamal Dahal at Pakadi of Mayadevi Rural Municipality in Kapilbastu district on Saturday. 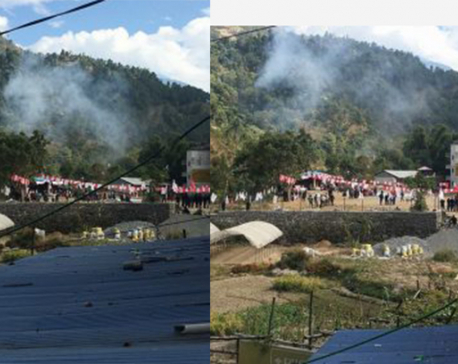 BAGLUNG, Nov 16: A bomb went off near a mass gathering organized by left alliance - CPN-UML, CPN (Maoist Center) and Rastriya Janamorcha - at Hatiya in Galkot Municipality in the district. 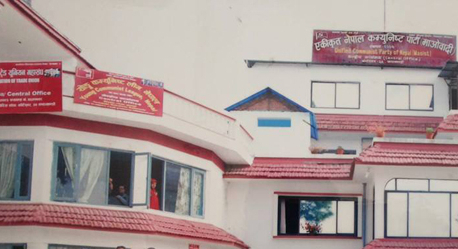 SAPTARI, Nov 11: Although leaders and cadres of various political parties are found delivering speeches on election codes and ethics at other times, during elections, they themselves are found crossing the line. 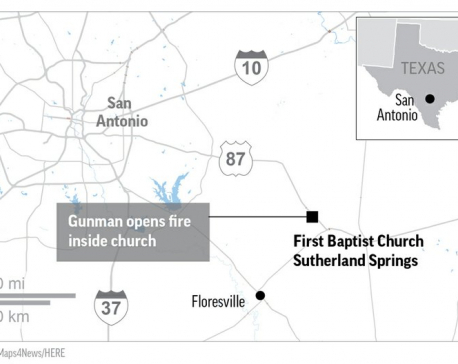 SUTHERLAND SPRINGS, TEXAS, Nov 6: A man dressed in black tactical-style gear and armed with an assault rifle opened fire inside a church in a small South Texas community on Sunday, killing 26 people and wounding at least 16 others in what the governor called the deadliest mass shooting in the state’s history. The dead ranged in age from 5 to 72 years old. 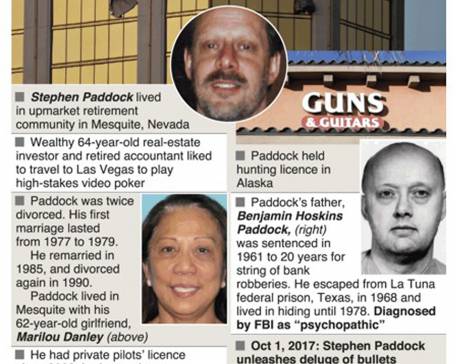 Infographics: Who was the Las Vegas mass shooter? 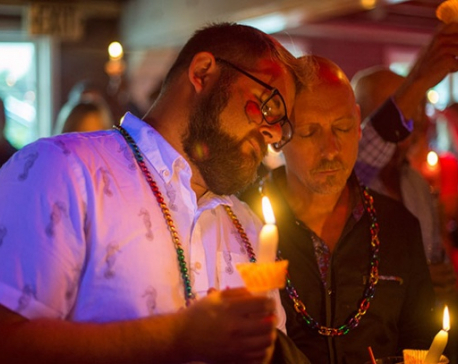 Stephen Paddock – named by police as the gunman who opened fire on a Las Vegas outdoor music concert from a 32nd-floor hotel room – had no criminal record and no history of mental illness. PARIS, June 27: A new and highly virulent outbreak of malicious data-scrambling software appears to be causing mass disruption across Europe, hitting Ukraine especially hard. 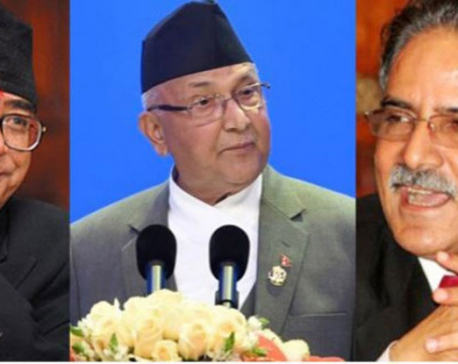 CHITWAN, May 11: Three heavyweights of three big parties are all set to address different election gatherings to be organized by their respective parties in Chitwan today. DAKAR, April 19: Investigators have confirmed another 17 mass graves in central Congo, bringing the number to 40 discovered since clashes between soldiers and a local militia intensified in August, the United Nations human rights office said Wednesday, adding that Congolese soldiers reportedly killed at least 114 people, including 41 children. KATHMANDU, March 31: In a bid to turn the tables of the local polls in their favor, the ruling Nepali Congress (NC) has decided to hold mass rallies in each of the seven provinces. 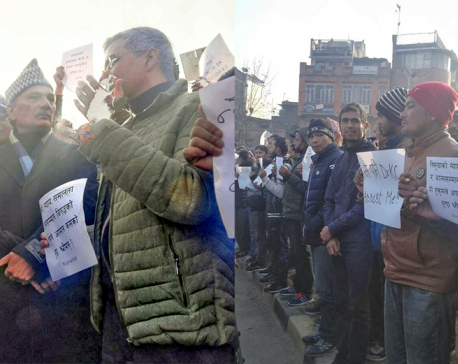 KATHMANDU, March 12: CPN –UML has organized a mass meeting at Anchalpur of Bhairawa as part of its Mechi-Mahakali National Campaign that was resumed after three day postponement following the Saptari incident that claimed the lives of five persons. 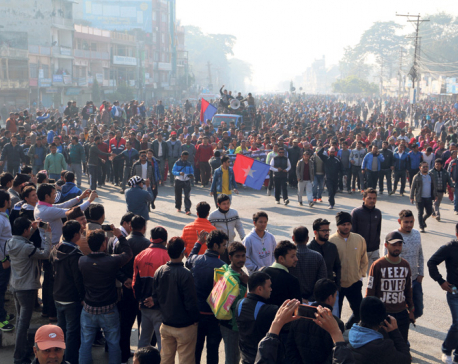 SAPTARI, March 6: The mass meeting of the CPN-UML, as part of the Mechi-Mahakali campaign has begun in Rajbiraj despite protest by the United Democratic Madheshi Front (UDMF). 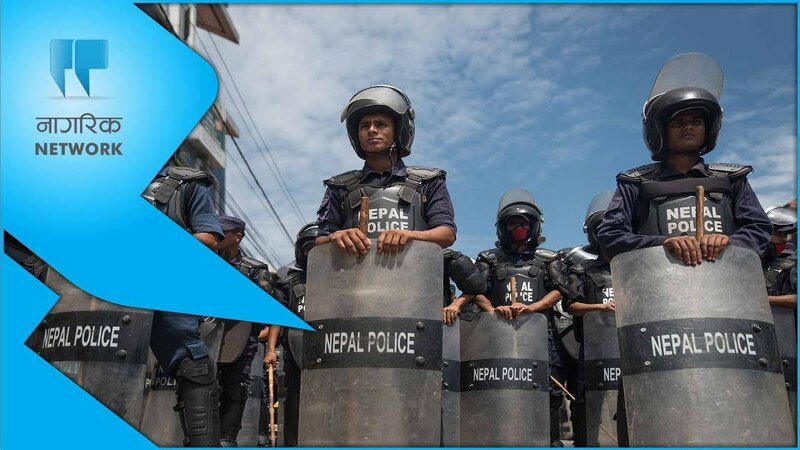 RAJBIRAJ, March 6: Police has recovered a suspicious object on Rajbiraj Rupani Road section in Saptari on Monday. Bhumi Pednekar’s first film, ‘Dum Laga Ke Haisha’, contained the message that over-sized women are not at a disadvantage as long as there is love. Her second, ‘Toilet: Ek Prem Katha’, too has a societal message. Actress Bhumi Pednekar is more than happy about Bollywood making message-based films and says cinema is the easiest way to communicate with the people. 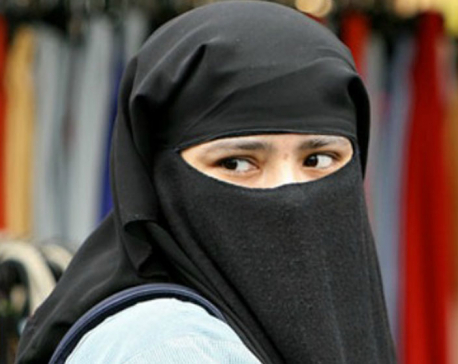 Almost a week after Bangalore made headlines the world over for incidents of mass molestation and assault on New Year’s Eve, another incident of alleged molestation has surfaced; this time against a young burqa-clad woman. KHOTANG, Sept 22: The girl students at Sharada Secondry School at Hauchur in Khotang district, who were recently taken ill with mass hysteria, have received psychosocial counseling. KATHMANDU, July 22: The meeting of the Council of Ministers today has approved the National Mass Communications Policy 2073 BS.